After a full weekend of cycling action, it was all over in a matter of split seconds with sprint finishes at The Condo Group Bastion Square Grand Prix. 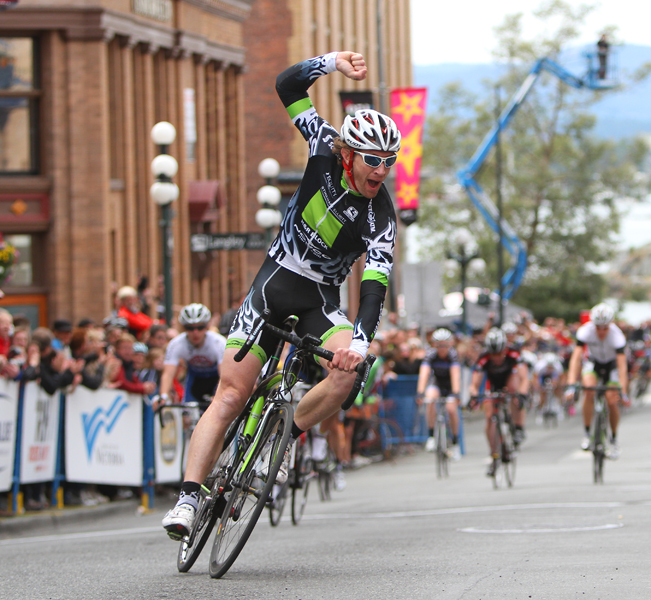 The day of criterium excitement ended with Vancouver’s Team H&R Block Justin Kerr leading the elite men’s field to the line in 1:19:27. A seven-man break for the last 10 laps of the 75-lap Robert W. Cameron Law Cycling Series criterium kept things exciting for the thousands of spectators lining the course, but in the end the gap closed with the lead pack only ahead by six seconds over the 80+ racer pelotron. Trek Red Truck’s Adam DeVos and Cody Canning finished second and third respectively, while Garrett McLeod, Team H&R Block’s Rob Britton, Garneau Evolution’s Greg Christian and Hagens Berman Cycling’s Jesse Reams rounded out the top seven sprinters. Earlier in the day, Trek Red Truck’s Jenny Lehmann also headed off a sprint finish in the 45-lap women’s elite race, ahead of Local Ride’s Lisa Howard and Shoshauna Laxson. 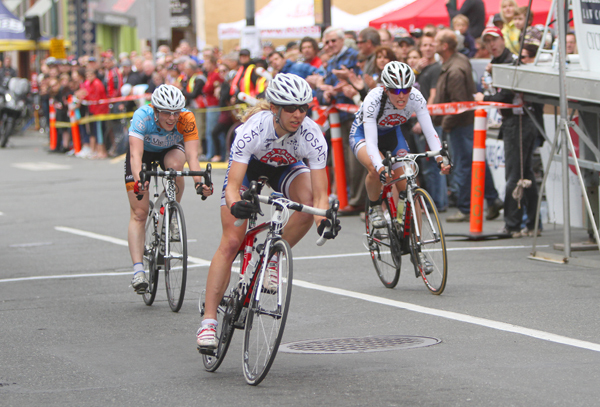 The Kamloops women winner of the 2011 Ride the Ridge, Lehmann also took the Omnium Prize after being crowned the 2012 Accent Inns BC Road Cycling Champion at yesterday’s road race in Metchosin. Russ Hay’s Accent Inns Megan Rathwell was second and Kristine Brynjolfson was third in the women’s ominum. In the men’s omnium, Rob Britton, winner of the Specialized Russ Hay’s Time Trial on Friday night, took the overall Robert W. Cameron Law Cycling Series prize. McLeod and DeVos were second and third overall. Triple Shots Alexandra Grant took the junior women’s ominum while Trevor Pearson took the junior men’s ominum. 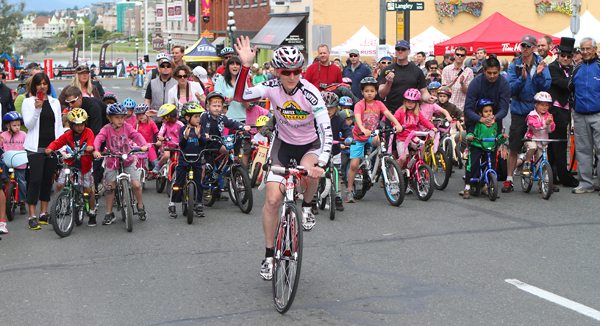 Sunday’s The Condo Group Bastion Square excitement capped off a successful 2012 Robert W. Cameron Law Cycling Series – with more than 200 competitive riders signed up, as well as a new generation of more than 130 Tim Hortons Timbit Challengers, kids aged 5 to 10 who provided parents and spectators with delightful cycling passion before the elite races.